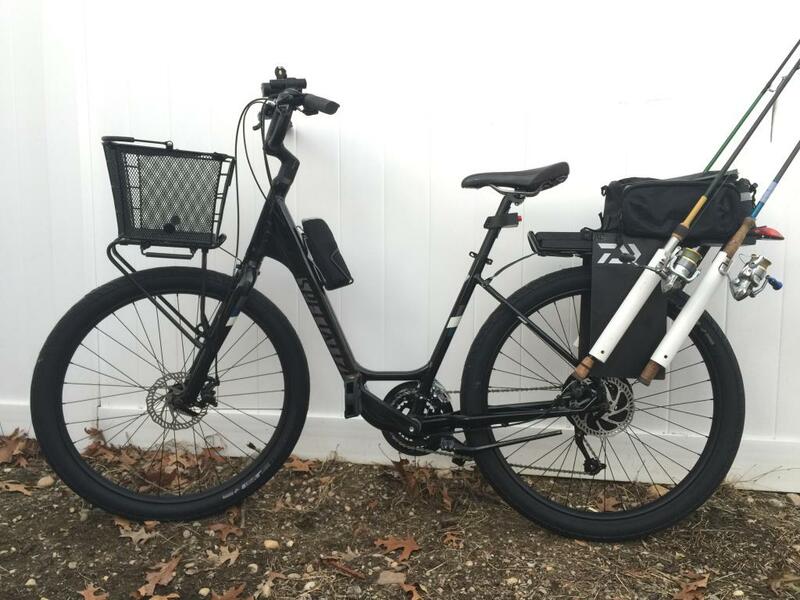 Thread: FISHING BIKE replacement options? I use to walk this lonely road in waders for nearly 2 miles.. well needless to say it's a hike and in summer its oppressively hot. 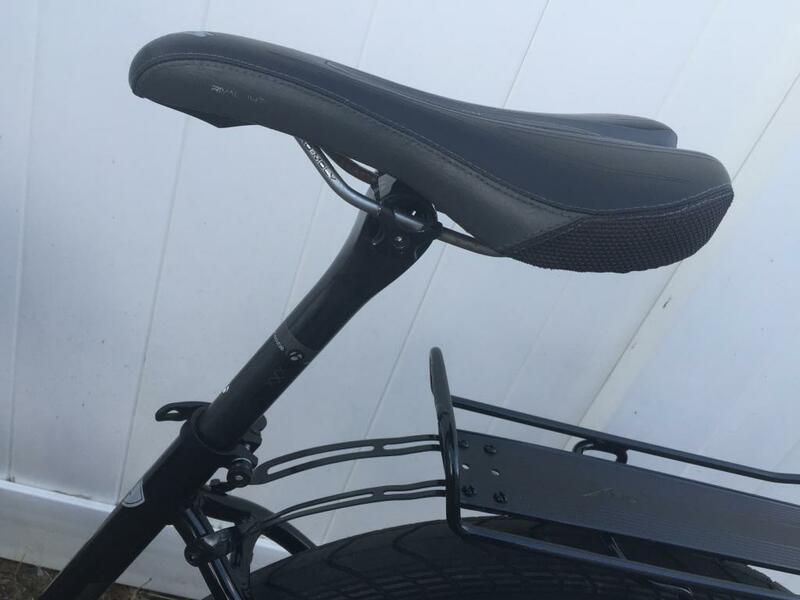 So I modified my free Jeep bike for fishing - not be able to find a suitable easily removable rack I built one over the existing metal rear rack and added a removable front basket. well it's been nearly a decade of use and its time for a new or very good used replacement Step through style or women's bike or geezer bike. Not interested in any 700 size tires. trying to get my leg over the bar with waders is challenging - I have already dropped it once loaded because my leg did not quite make it..
And destroyed a $300 Shimano reel.. Waves have washed over it- the salt air has killed its steel frame. 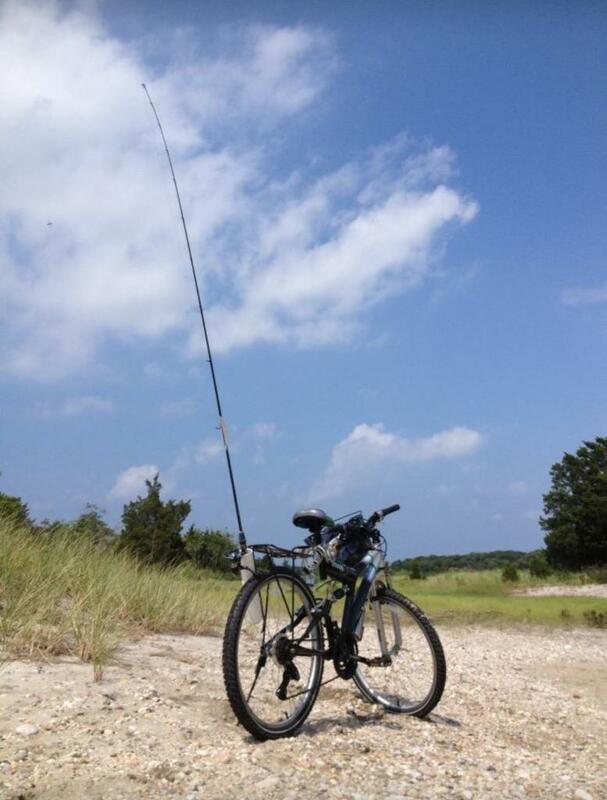 So im seriously in the market for a New Fishing Bike. on the low end I looked at a not so great Nishiki Alamoso Black @ ***** 50% off only $200 but was unimpressed - except it was so much easier to get my leg over.. I spend most of my time night fishing 80% of the time and anything reflective isn't desired. might go look at the Roll tomorrow..
Not that I have any good suggestions, but what kind of terrain, surfaces and distances to you ride? 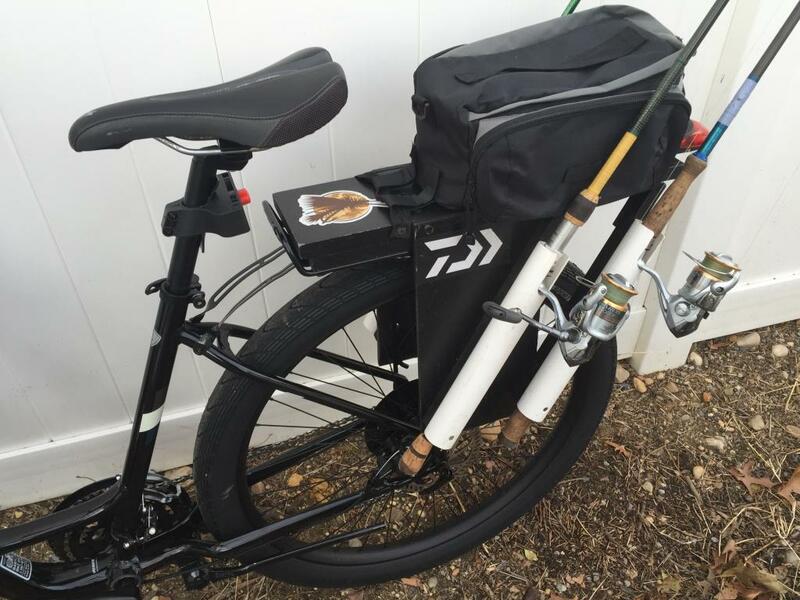 The roll would be a really nice upgrade, my bet is on that bike, the low entry is perfect for waders. I think your concerns are prioritized well enough: ease of access/use on the top. Further, I commend you for considering a bike from a bike shop, rather than scrounging the dumpsters for whatever turns up. 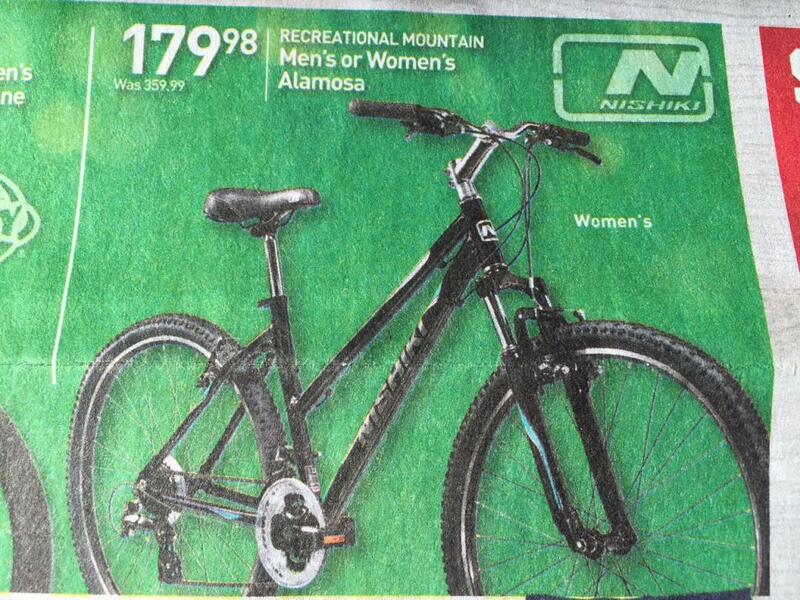 I'm not familiar with the Nishiki bike, but this low-access genre is fairly popular, so others are out there. The lowest tube bike I've seen is from Biria. Breezer Bikes makes one...I have worked on one and thought it a nice bike. The rest I know only from the internet...and you can do just as well as I can there. Estuary mud rocks brush on the other.. I stay on the road and have to push the bike into the brush .. Ditch it and walk the shore.. I'm usually never that far from it or the gear as the gear is worth about 2 Rolls..
here are some folks talking about the Roll...not sure if it will help you with your decision or not. you probably have already looked in the Bikepacking and Bike Expedition section, but lots of good info in there too. 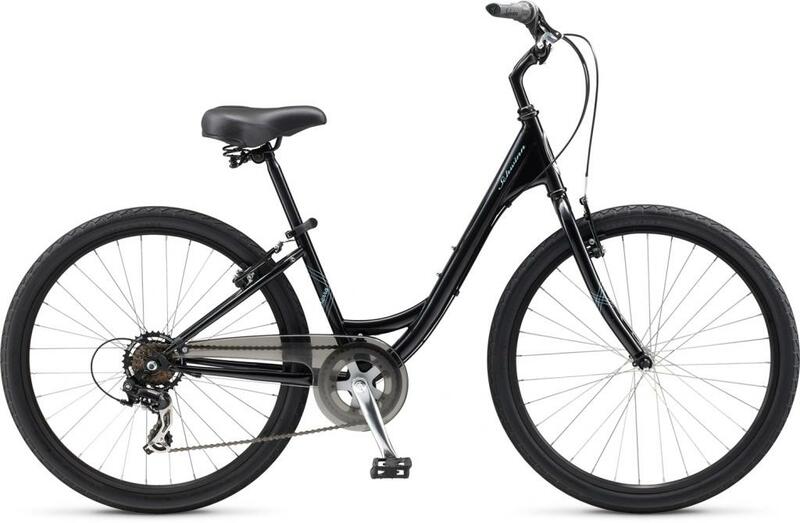 here's the Nishiki --the price almost got me. almost.. still thinking about..sort of..
we will see what happens at the bike shop. Beware the Roll test ride is what most here are saying..you Roll in looking and Roll out with one. I actually haven't yet ! thanks !!! 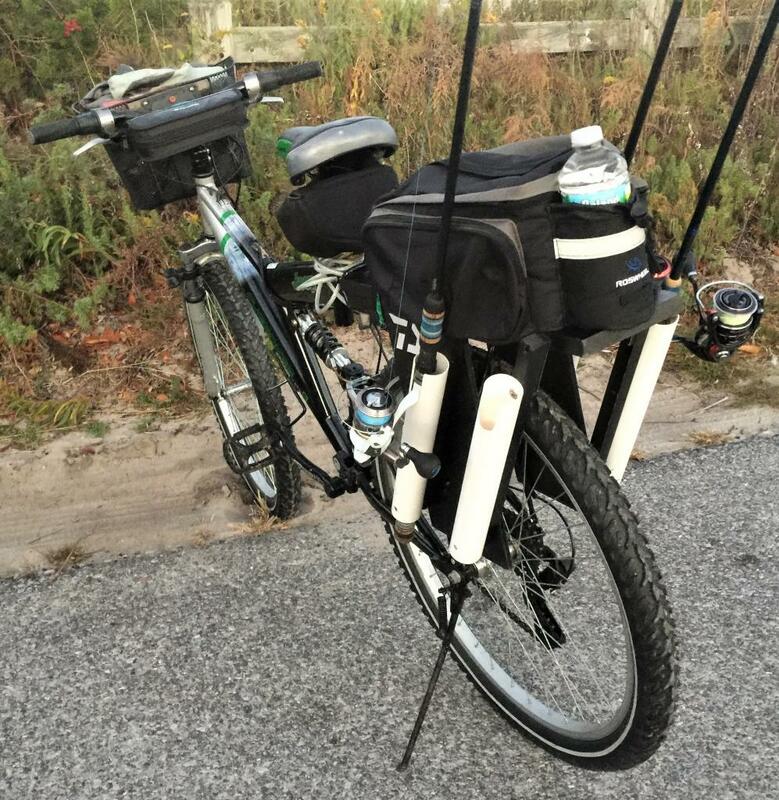 before I made the rack - a PVC pipe ziptied worked as a temp..
a large clam shell under the kick stand holds her up. The Roll sure looks like a good choice. Easy step-thru. No need for suspension which just adds weight, complexity and opportunity for corrosion. 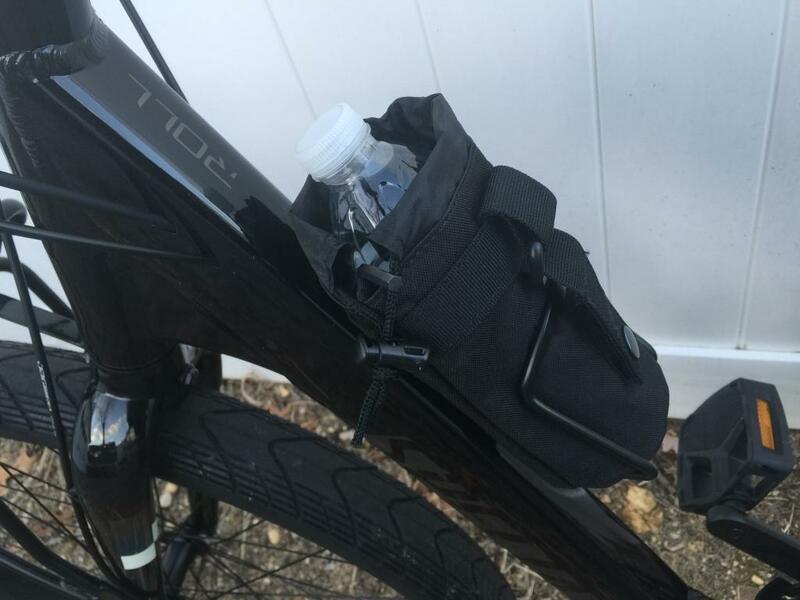 Nice fat tires provide a smooth ride and help prevent sinking into sand when you roll the bike off the road. It looks like it has rack mounts. Have you considered the basic Roll, without the suspension seat-post and disc brakes, neither of which would offer any significant benefit for your use, IMO. thanks! this is exactly why I have it on my short short list - I first considered the Base model but that Black Elite is just a bad looking and the Darker the better for night fishing - is it worth the extra $150....? not sure it really is... But I have never ever bought a bike that I really wanted before - ever and this will likely be the last bike I will ever own. So im leaning towards the black Elite. 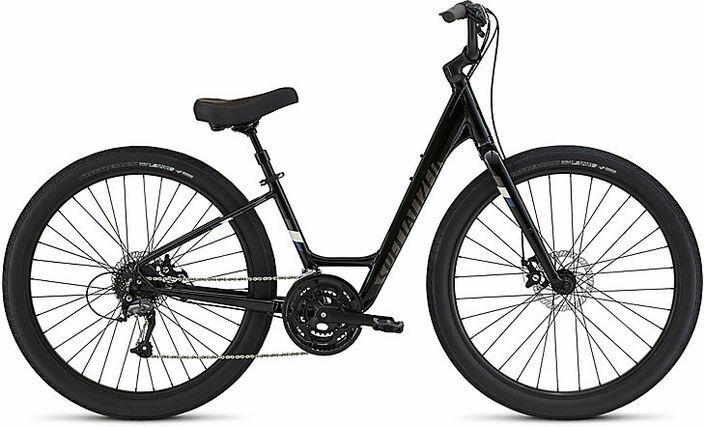 I went to a specialized retailer yesterday - they didn't have any in stock and the salesman/tech wasn't familiar with the model nor truly interested in really helping me. he walked away while I was talking with in the 1st 5 min. of entering..it was just plain rude. it was not a good experience for my 1st time in a bike shop in more than 2 decades. I wont go there again. 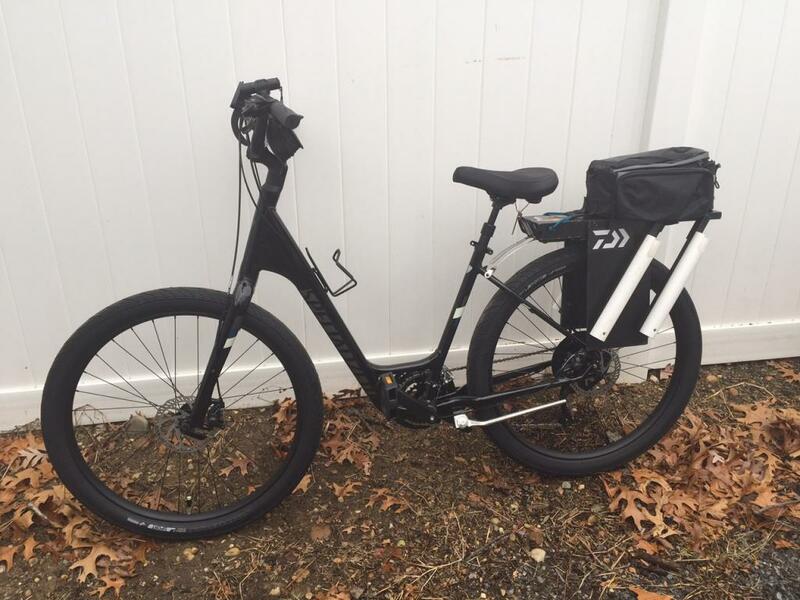 when he was willing to give me his precious time..he was pushing me to just buy it w/o testing saying that XYZ bike was same or similar..
funny you mentioned FAT Tire - I called 2 local specilized retail shops today. 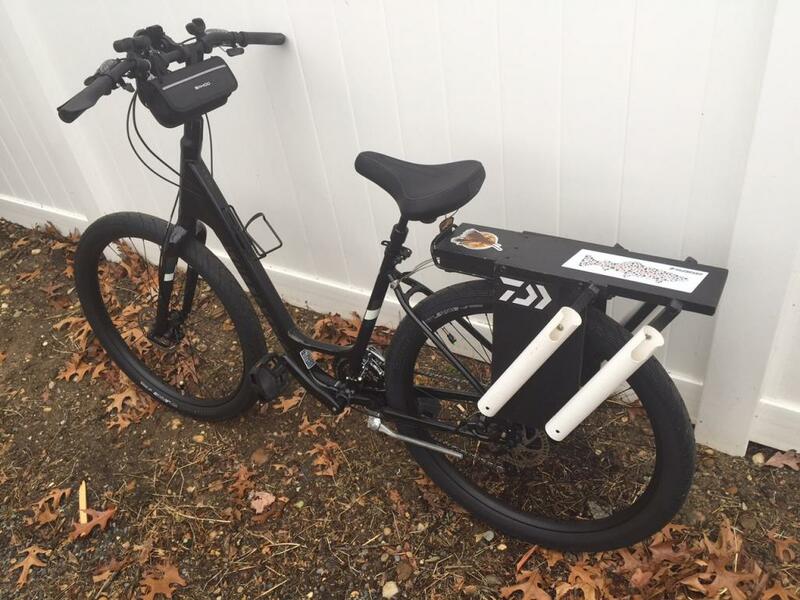 one didnt have any Roll models either..and the other moved 2 hrs away.. but they make custom FAT Tire electric beach rigs .. not a fan of electric bikes at all.. but some of the mods look cool. I like the intigrated custom color matched cargo rack. thats it for the jeep Fish Bike - 9yrs of service and its the last straw. yesterday I found a the right shop for the Roll - the owner is bringing one in my size and color for me to test - if it's as good as im expecting / anticpating it to be - it will more than likely be coming home with me. Last edited by pdspeh69; 12-12-2016 at 08:25 AM. Took all of the old parts off of the Jeep bike last week to see if they would fit the New Roll or if i'd have to start from scratch..
the old front basket wont do - it's took high and mounts funny but i knew that anyway- still tried it out..
super slick rig - compared to the Jeep. 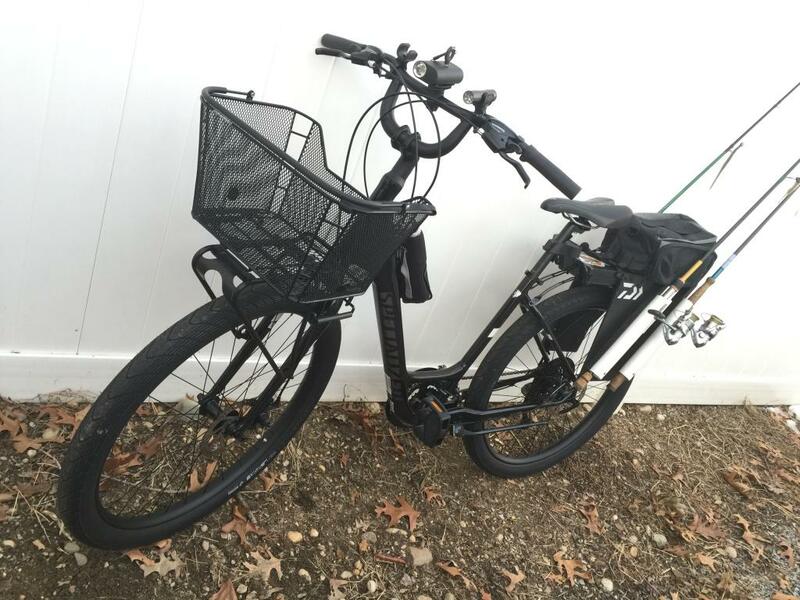 + the Racktime Topit and Sunlite front QR Basket are the perfect addition to the front end. + all Titanium bolts used to secure the racks to the bike frame. 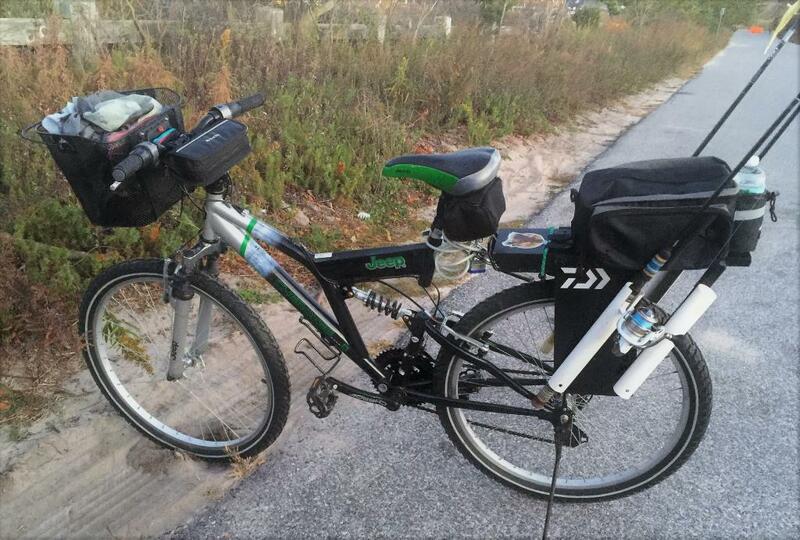 I plan on remaking the rear rack at some point to lighten it up. that turned out great! I love seeing very "purpose-built" bikes come to life. Hope the fish are biting! 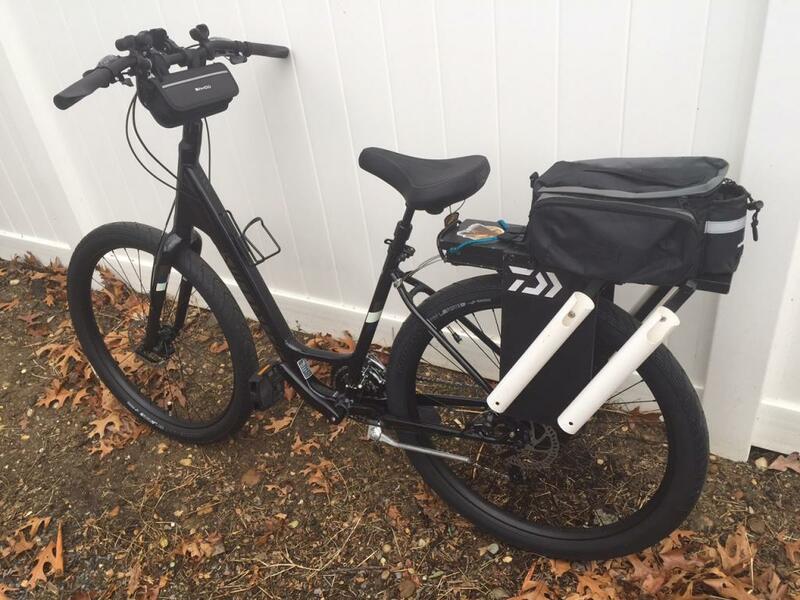 I may replace the rear rack and redo a second lighter version on the removable rod/ equipment holder - I really like the rack time front rack - so i have been looking at those. here it is minus the rack/basket. its been a while and I was delayed a bit on my lighter rear rack. cancer + divorce - my wife walked out on me during cancer...almost a year ago now. she left her bike behind .. I couldn't just toss it..
so I transformed it into a second fish bike to bring friends along. 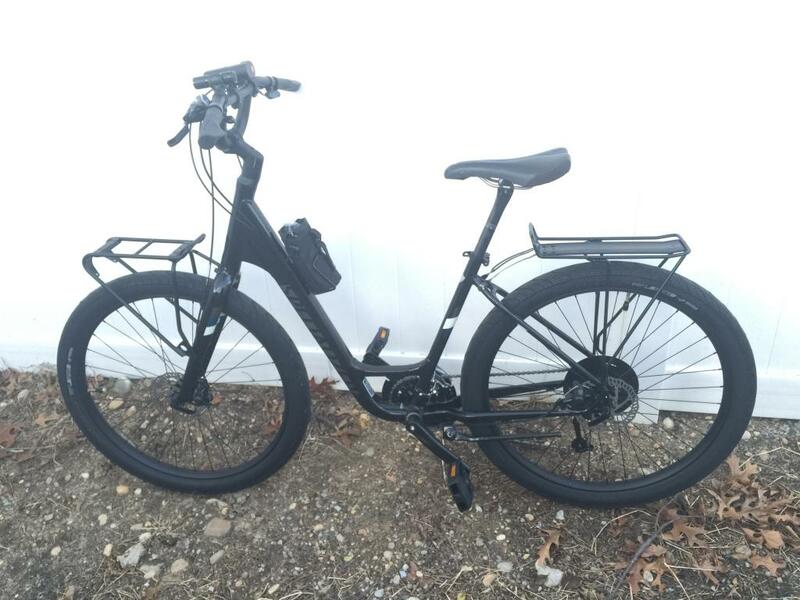 Stolen Bike Replacement - top AM options for $3800 please! Camping .....near a lake w/fishing...close to the bike parks? Any suggestions? Fox F80 RL replacement options ?